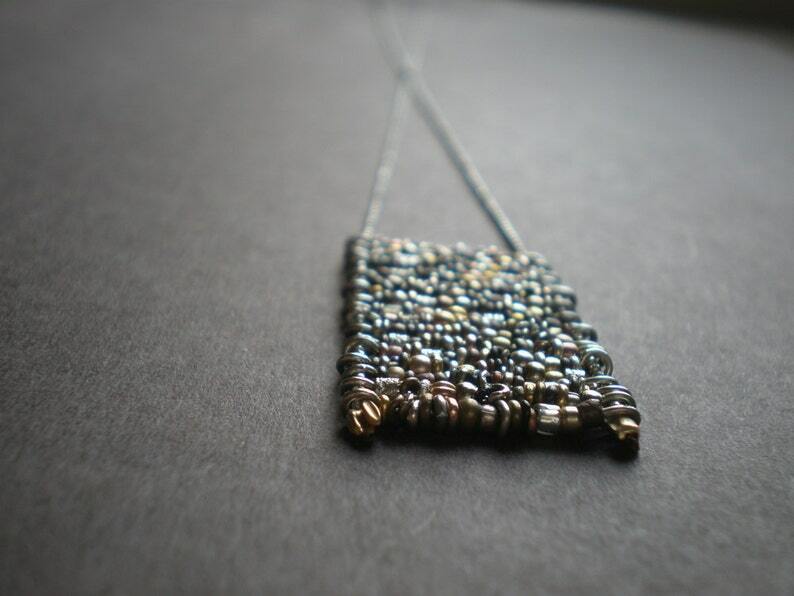 Here is a ladder version of my signature mixed metal beads design with 16 rows of beaded pins stacked to form a rugged square pendant. 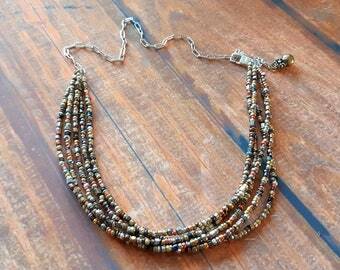 The piece is supple and movable and hangs from a silver-tone ball chain. It is a real unique piece and you won't see it anywhere else! Love dorijenn but on a tight budget? Visit my $20 and under department! © dori jenn 2008 - 2019. All images and designs are the intellectual property of dori jenn. All rights reserved.